God? Busted!. 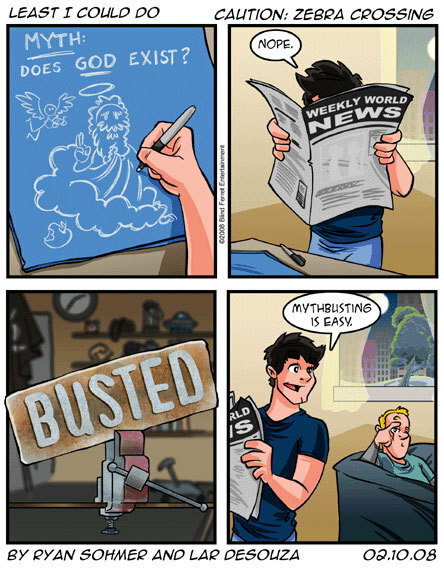 I am a shabiki of Mythbusters, so I find this really funny. :D. Wallpaper and background images in the Atheism club tagged: atheism atheist funny cartoon god mythbusters busted. This Atheism fan art might contain anime, comic kitabu, manga, cartoon, and mkono.